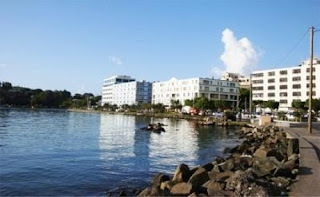 The recent announcement in the press by Tourism Minister Senator Allen Chastanet that a memorandum of understanding had been signed between the government of St.Lucia and Royal Caribbean International (RCCL) to re-develop the Castries Waterfront, gave me pause for concern. Reports back in April 2010 put the initial cost of the six-year project estimated in the upward regions of US $160 million. Sigh! I couldn’t help but feel overwhelmed by yet another multi-million dollar project to be managed by a consortium or some multitude of stake-holders. Yet another project under the impetus that massive foreign investment and re-development will better the everyday lives of St.Lucians. You see, I write this article not to damn the project but to perhaps shed some light, dare I even say maybe to spark some conversation on what this re-development project really is. Royal Caribbean International (RCCL), the company that owns Royal Caribbean and Celebrity cruise lines earned $87.5 million, or 40 cents per share, during the three-month period that ended on March 31, 2010. The company is hell bent on securing that profit as they have embarked on a relentless path to build larger and much more luxurious ships. 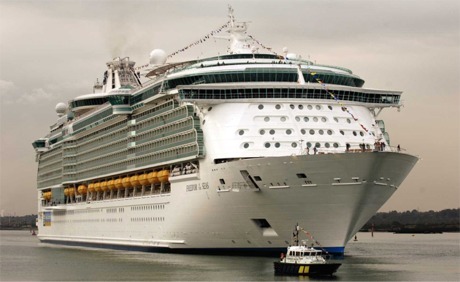 Launched in November 2009, the Oasis of the Seas is the largest cruise ship in the world, accommodating some 5,400 passengers with just over 1900 crew members. Continue reading here. I read the whole article at The Larcher Group's website.... Is this REALLY what's happening in Saint Lucia?!?! I still don't understand how this is going to work.... Do the SAINT LUCIANS, who LIVE and WORK in and around the area, have a "say" in what this is going to look like, and what this is going to be? Or should we sit aside and let them dictate our way of life? (Side note - why lucians working in the tourism sector are forced to work on major PUBLIC holidays for tourists is beyond me...but I digress) When this so called company backs out in 20-30 years, what are we going to do with these buildings? Can they be repurposed? Most importantly, what is to become of our harbor? One of the safest in the Caribbean? I await the outcome of this…. Sweet Eyes ... Hat Attack! Baby, Toddler to Kid Swim ! Rihanna's LATEST VIDEO: Who's That Chick? Sweet Eyes ... It's All Random! Sweet Eyes ... Leopard, Lace & Watches ! Music Shake ... latest creative addiction!